Earlier we had discussed how my dad inadvertently pushed me to explore the world of Insurance. 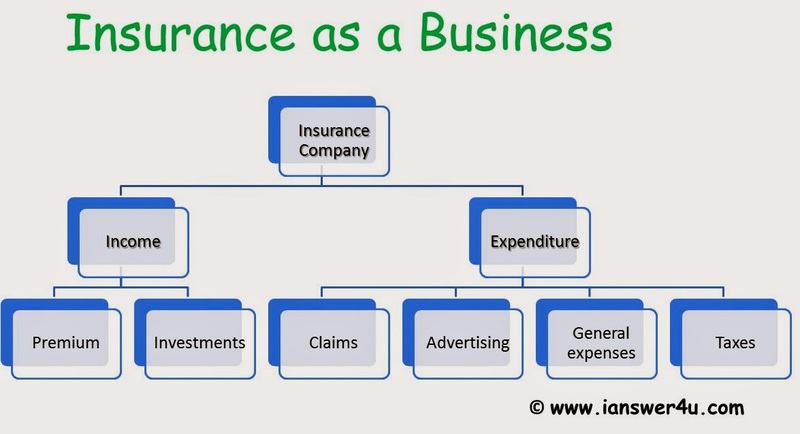 Today we will be seeing what the four major roles of Insurance are. Understanding these roles will make it easy for us to take an educated decision while buying any type of insurance cover which suits our needs. This is probably the first thing you hear from any financial expert when you ask, “What is insurance?” I have heard it too. But what exactly do they mean by risk management? To understand this we need to start with what risk is. Risk is a possibility of an outcome which is not favorable to us. While travelling every day to office we do run a risk of meeting with an unfortunate accident but that doesn’t stop us from travelling, does it? Similarly, organizations face several risks while conducting their day to day activities. Risk Management is the process by which we take various steps to minimize the damage arising from adverse events. Through risk management we are preparing ourselves for the worst case scenario. Risk can be managed by taking various loss prevention and loss reduction measures. Loss prevention measures are ways by which we try to eliminate the possibility of loss; for example: wearing a helmet while driving, getting proper vaccines at the prescribed time, etc. Loss reduction measures are the ones where we try to minimize the severity of loss; for example: applying antiseptic ointment on a wound, installing fire extinguishers at various strategic points in a building, etc. From the above we can conclusively say that Insurance is a loss reduction mechanism, wherein we are trying to reduce the financial impact of any loss by transferring it to the other party. This brings us to another related role of insurance. By buying an insurance policy you are enabling yourselves to transfer the cost of losses (in case of an unfortunate event). By getting insurance you have directly transferred the cost of losses to the insurer in lieu of small payments you make in the form of premium. You would be surprised to know that insurance is not just about transferring your cost of risk, but also sharing it!! Don’t you ever wonder how an insurance company is able to pay out large claims even though we pay a lot lesser amount to them as premiums? Insurance companies work on the concept of sharing the costs of losses. Every Insurer has a pool of people (insured) paying it premiums every year (or month) but not all of those insured incur losses every year. Thus while paying out claims, the insurer merely uses the money from the premium pool (which is way too huge as compared to claims it receives). The amount of premium to be collected is vital for any insurance company to remain profitable. The $7 trillion insurance industry is one of the most profitable businesses in the world. Life Insurance products occupy about 55% of the pie. In the figure alongside I have discussed the various sources of revenue and expenses which an insurer has to take care of. A good insurance company is one that settles its claims swiftly and still has enough money to invest in investment portfolios available to it. Once the insured signs insurance proposal and the insurer accepts it, they enter a legal contract which binds them to fulfill their individual responsibilities. The insured’s duty is to pay the premium amount on time, while the insurer has to pay for losses, as specified in the policy. As this is a legal document, it is advisable to read the policy document carefully before accepting it. This reminds me of a friend of mine whose health insurance did not cover a particular class of ailments. Unfortunately, he was diagnosed by one of those ailments and his treatment cost him a fortune. When he went to his insurance company for the claim, he got a rude shock when they showed a clause in the policy where it was specified that his disease is outside the purview of his policy. I hope you guys don’t sign an insurance policy the way you accept Terms and Conditions while installing any software!!! This brings us to the end of the second part of our Insurance for Beginners series. Next up, we will discuss the common types of Personal Insurance.